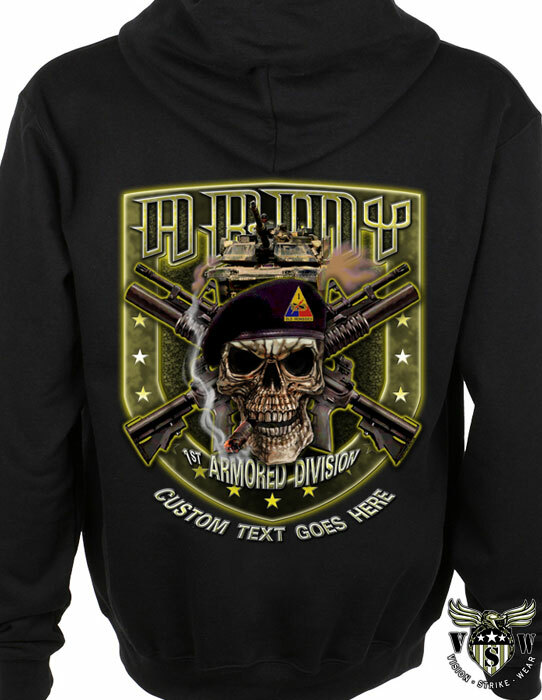 Whether it is an artillery unit, US Army infantry battalion, quartermaster unit or even US Army Special Forces Group then the desire to have quality and highly detailed custom Army shirts or hoodies or some other apparel item produced with cool military graphics with a hard edge is the finish line. Not some cut and paste cheapo rendition of something thrown together on the cheap from an image on Google but something that is all about quality. It has to have originality and it has to mean something because it is being worn on the backs of our United States Army men and women and it goes without saying they deserve the best. A front shirt design accompanied with a large back military print is often the case when it comes to a standard shirt request but it can be so much more than that. Sleeve art. 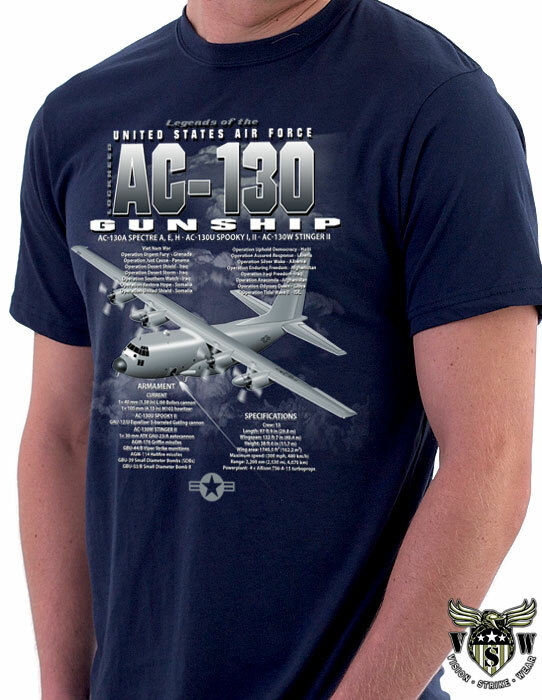 Adding text or making the location of the print somewhat interesting and unusual like in a corner of the shirt or across the shoulder blades along with a clever military graphic can make all the difference. Each year Vision-Strike-Wear.Com has the opportunity and honor to serve the men and women of the United States Army by crafting custom original military shirt designs for quite a few military units. 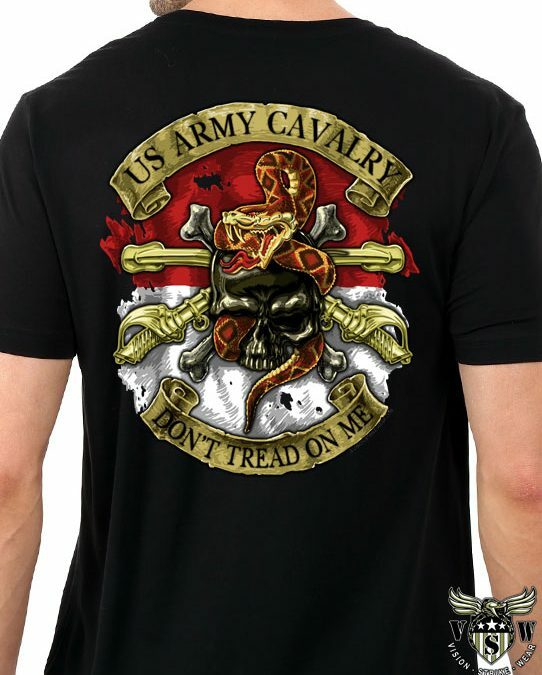 US Army Custom Military shirts designs for 2016 are displayed in this military blog to provide not just a glimpse of the work done this year but also to provide examples and ideas for your next US Army shirt design. Because the US Army comes to VSW frequently because of their custom military art and design capabilities they are often known as the ones “Where the military gets cover”! From Joint Base McChord to Fort Drum, Fort Bragg to Fort Benning, Fort Sill to Fort Wainright it has been the pleasure of Vision-Strike-Wear.Com to design custom military Army shirts for the United States Army. Infantry, Quartermasters, Special Forces, Kiowa and Blackhawk Squadrons, Artillery units, designs for US Army on deployment from Iraq to Afghanistan and a variety of specialized interests. 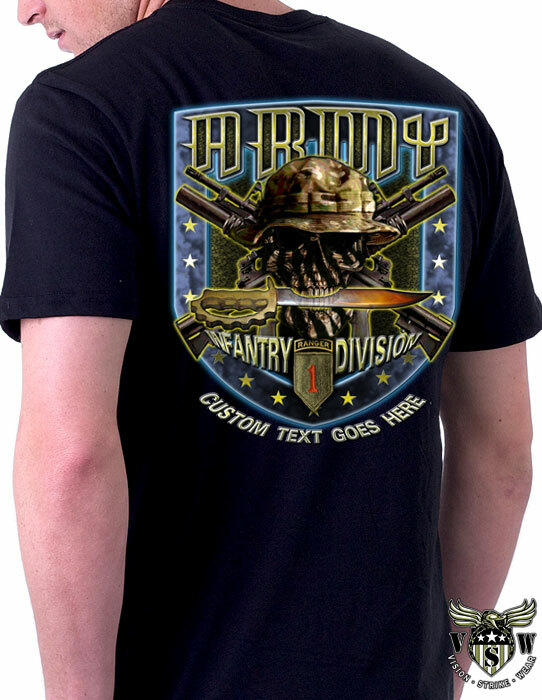 Big Army is large and expansive and often has a desire for the finest in custom military design and printing. 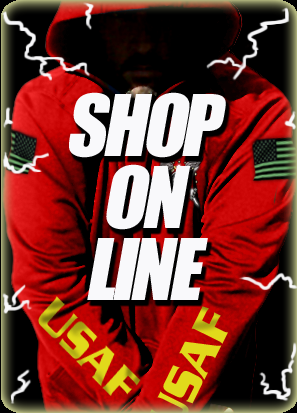 Vision-Strike-Wear.Com offers the finest designs for domestic or deployed units. Designs and printing can be delivered all over the world to our US Army personnel so whether crossing the wire or going outside the gate, VSW can make it happen. HHT 2-116 Cavalry Medical Hellraisers received their shirts. Created for this specialized compenent of medical experts. HHT 2/11 Armored Cavalry Regiment live in the belly of beasts! B Co 1-52nd Sugar Bears and this incredible Chinooks asked for a color design based on their military patches. 4-3 Killer Troop asked for a mdern version of their skull with bandana design and crossed cavalry sabres for their recent deployment. 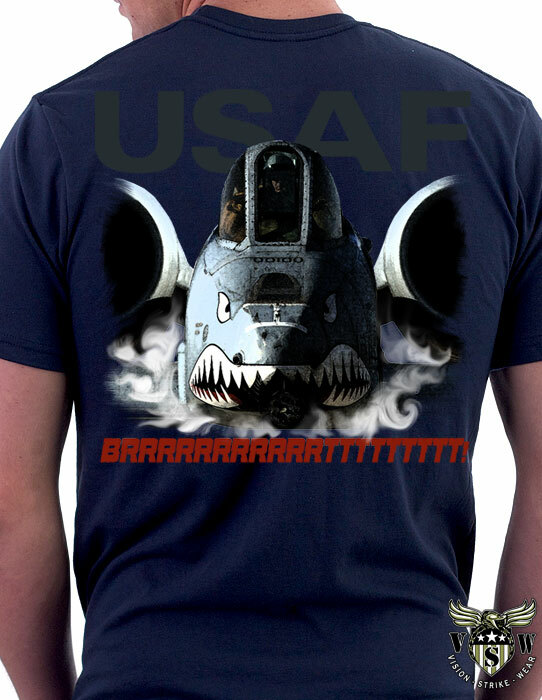 A Co 563rd Aviation Support design for their recent deplyment to Bagram, Afghanistan. 4-3 Headhunters deplyment shirt! Longknife! 1-10th Cavalry Bandt Troop for their deployment. 1-121st FA Battery 2nd Platoon No Mercy! Created for the Hellraisers of the 2nd Cavalry Regiment! 1-41st Field Artillery design created in a sepia bronze style. 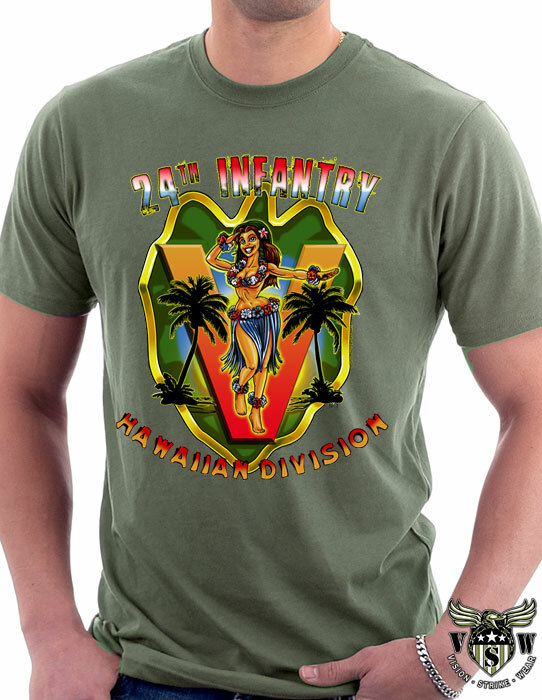 1st Infantry Division B Battery 3-1 IBCT custom Army tees from VSW. 1-10th Havoc Troops. A skull and a stetson. Perfect for scaring the daylights out of Tangos. A custom design made for the US Army 767th EOD. Task Force 10th “Alpha Blood Angels” At War With Death deployment Army shirt. 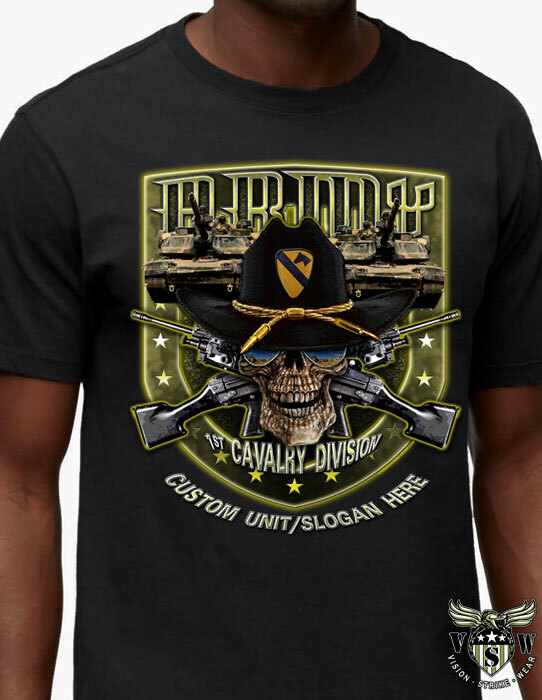 1st Squadron 10th Cavalry Buffalo Soldiers custim unit design and shirts. 4th Battalion Romeo Co The Citadel! 3-116th Cavalry. Charlie Heads. Lead from the side deploymnt shirt design created by VSW. B Battery 1-143rd Field Artillery Crusaders! 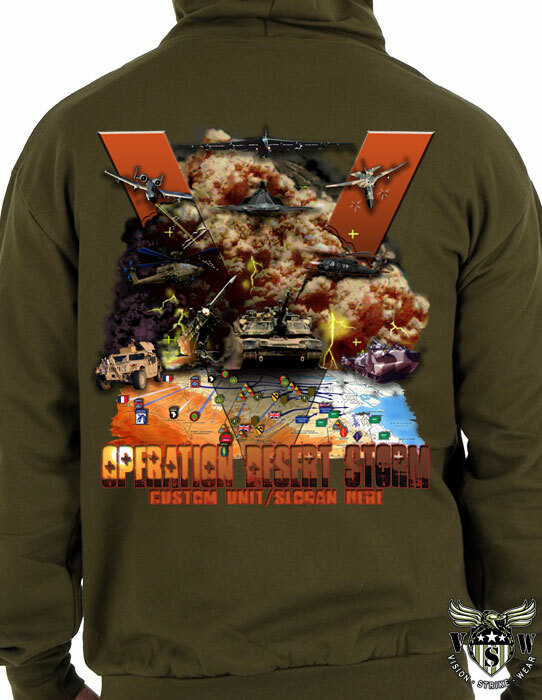 Alpha Batter 2nd Battalion, 2nd Field Artillery Fort Sill, Ok unit shirts created by Vision-Strike-Wear.Com. Golf Co. 3rd BSB Gladiators shirt for PT. MFT Battle Hammer. B Co 303rd Military Intelligence Battalion. 48th Infantry Brigade Combat Team. 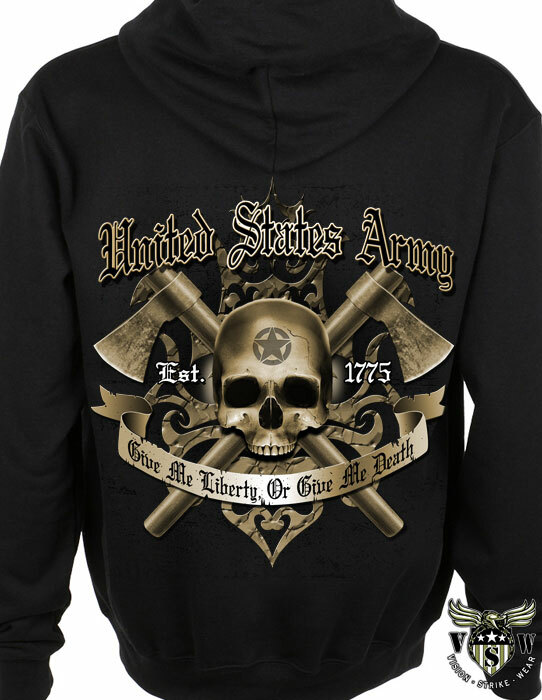 Help us reach over 100 custom US Army designs this year! 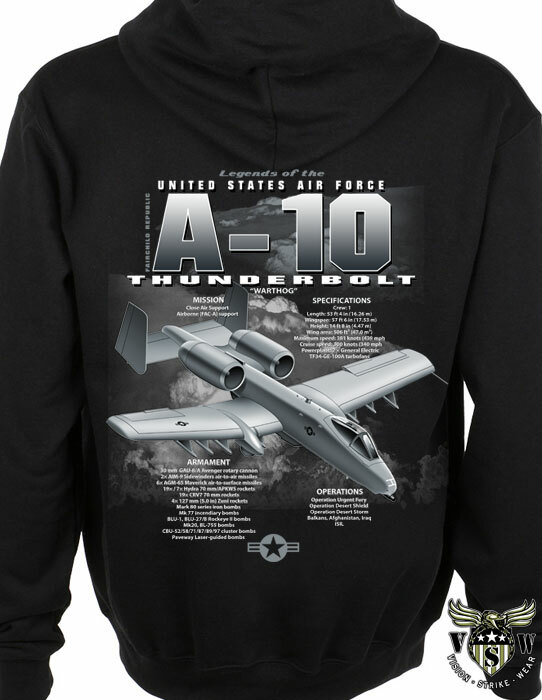 Please use coupon code unit20 and receive 20% off your next US Army design and order. 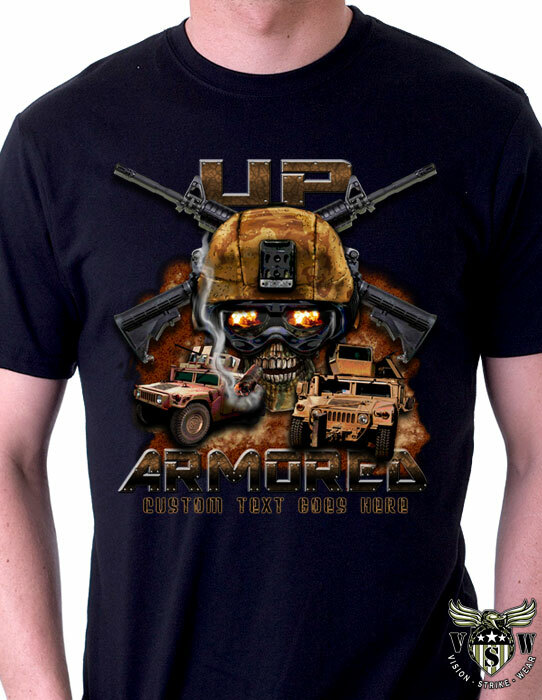 In 2012 the United States Army and its unit deployed across the globe were joined withthe Australian Royal Regiment and between the US Army and the RAR Vision-Strike-Wear.Com was kept extremely busy with highly detailed custom US Army designs for shirts, hoodies and apparel. 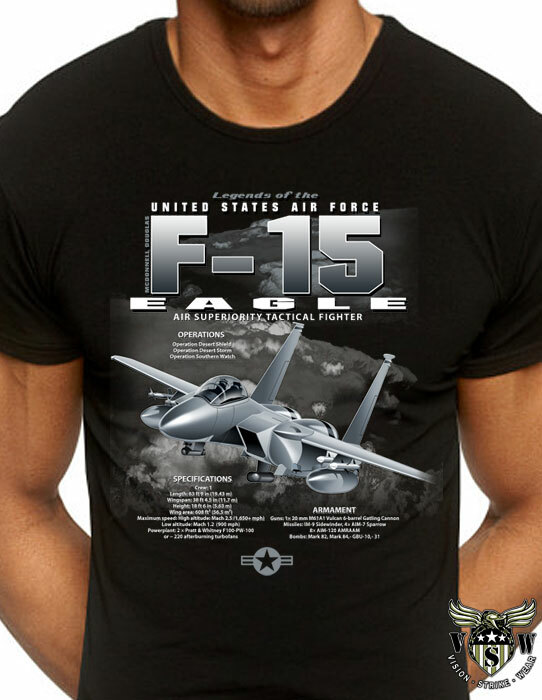 The bar for detailed military graphics had clearly been set and now mofre than ever it was apparent that units now had a new option when it came to highly effective unit shirts that could be worn with pride. The days of cut and paste and small print shops getting away with cutting images off the internet were over. Now was the development of real graphics and the few companies who really specialized in custom US Army designs found their way to the frontline. Companies like Vision-Strike-Wear.Com. Below are just some of the the Very Best Army Custom Designs From 2012! 2011 was a very busy year for the United States Army and during their many deployments to locations all over the world came the call for deployment shirts. Infantry units, civil affairs, transportation units and the many other units located all over the world. 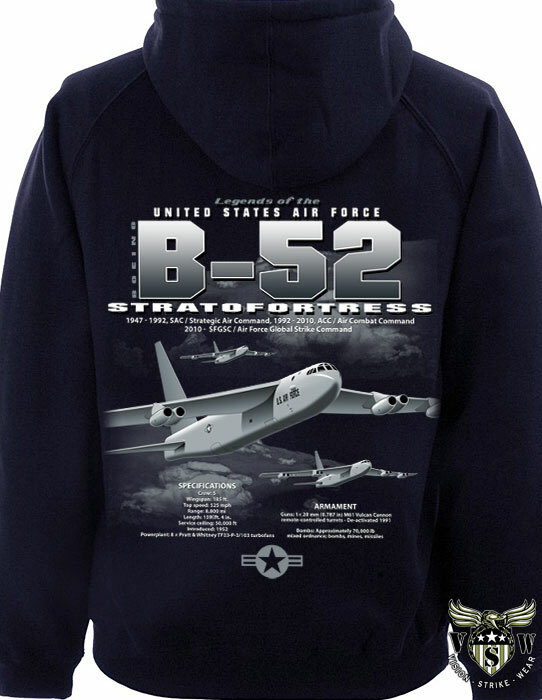 Vision-Strike-Wear.Com was in its third year as a leading custom design company specializing in military graphics for shirts, hoodies and other printed apparel items. The yeear 2011 brought many interesting military design concepts and as the world found American in Afghanistan and Iraq the artists of Vision-Strike-Wear.Com were hellbent on making the finest custom Army shirts for them in the industry. 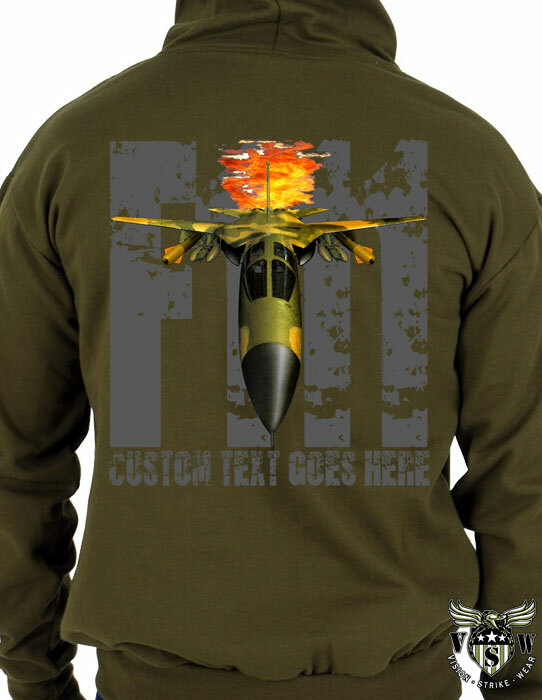 Below are examples of the custom military designs that were created during 2011. Sometimes a design never gets a chance to go to final but some make great concepts. This one didn;t make it off the artist’s desk but it would have been a great design of completed.